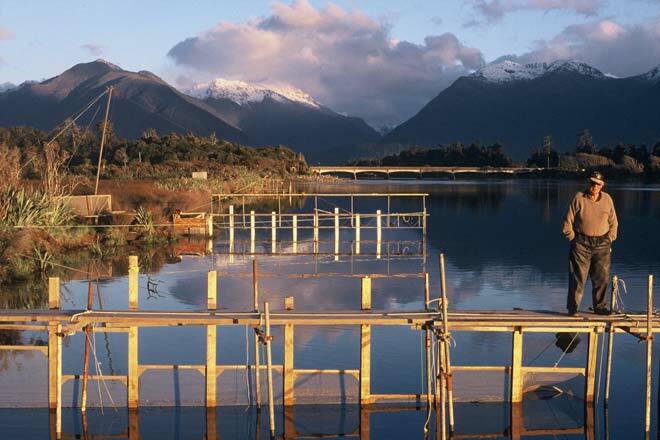 These whitebait stands are on the Ōkuru estuary in South Westland. Ropes and pulleys raise the structures above damaging floods. Screens placed in slots along the stand create barriers that baffle the whitebait as they swim alongside river banks where the current is slacker. Trying to find a way past the screen, the fish move to its outer edge, and enter a net.